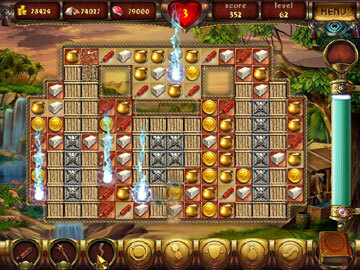 Build up the glorious heart of Ancient Persia in this engaging puzzle game! The original capital of the Achaemenid Empire was adored with luxurious metals, gems and stone carvings that were set to impress peasants and visiting nobles alike. But its exotic gardens and impressive architecture that once filled this place have long since vanished in the passing sands. Now you have a chance to seek out the riddles of these ruins as you travel through the land of a thousand and one nights. To do this you will need skill and a keen wit, but the resultif you survivewill unlock a mystery never before seen by man, here in the Cradle of Persia. 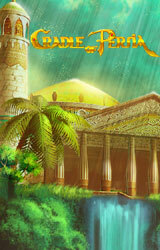 Build over 20 masterpieces of Ancient Persia! Travel through 7 historical epochs. Collect supplies to unlock the wonders of Perselopis! 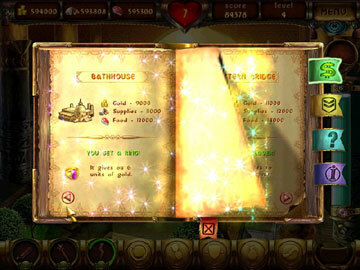 8 original bonuses, including Hourglasses, Magic Wands and Dynamite! Build and conquer your way through over 100 levels to free the genie from Aladdin's lamp! 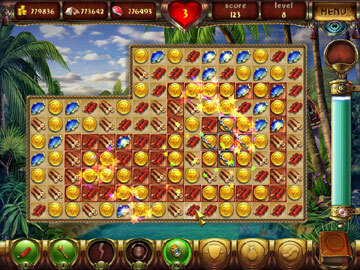 Fun and challenging puzzles. Become Caliph of Persia! Unique and truly addictive gameplay!